ANPEC, an IC design house in Taiwan that is dedicated in power IC, mixed signal IC, and power discrete devices design. To integrate the best infrastructure of the semiconductor manufacture environment in Taiwan and to promote the analog IC design capability here are the ultimate missions of ANPEC. The main product categories include the power management IC, Audio Amplifier IC, LCD Controller/Driver IC, Hall Effect IC, and power MOSFET, and are extending into communication IC and micro-controller application now. 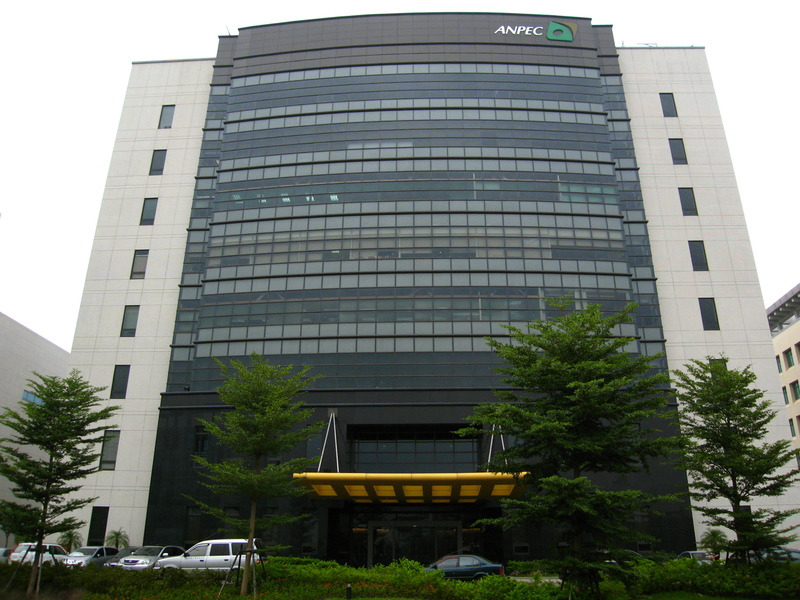 The main focus of ANPEC will be the computer, communication and consumer applications. To be your faithful partner, ANPEC is ready to deliver the best performance/cost and consistent quality products to you. Besides, a group of technical and sales specialists are ready to cooperate with you to face any challenge. © 2008, Anpec Electronics Corporation. All Rights Reserved.